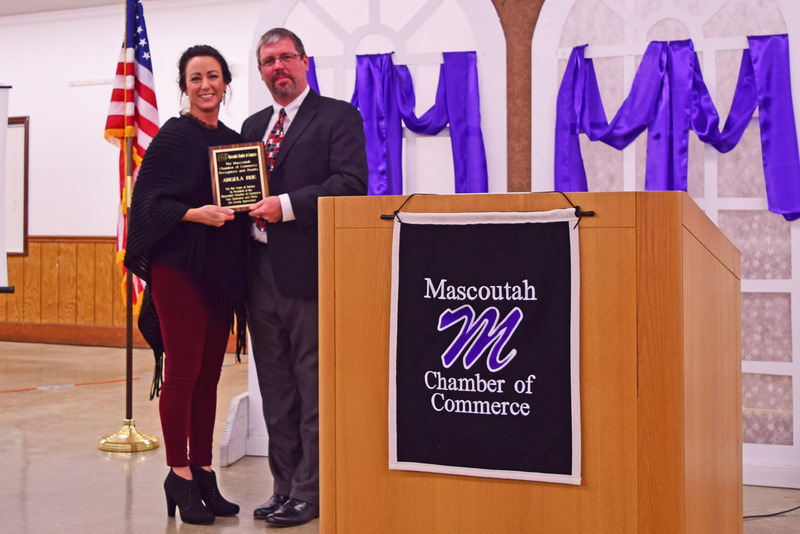 Retiring Chamber President, Angela Rue, was recognized for her service as Chamber President for the past 2 1/2 years at the recent Annual Chamber Dinner and Meeting. The membership thanks her for dedication. The presentation was made by incoming President, Mike Klein.